Madhuri Dixit has been once again in the news, thanks to her beautiful presence in the upcoming film, Kalank. Her look as Bahaar Begum has got the fans drooling over her like crazy. Many believe that the star has not aged even a bit. In fact, she reminded her of her younger version, that from Hum Aapke Hai Kaun. Now, to the delight of her fans, she actually performed on a song from the film which is "Pehla Pehla Pyaar Hai." Zee Cine Awards 2019: Vicky Kaushal, Malaika Arora, Kartik Aaryan and Other Celebs Make Glamorous Appearances on the Red Carpet (View Pics). She looked ethereal in a pink dress similar to that she wore in the original song. Her moves on this slow romantic dance could make anyone demand a sequel of the flick! Also, while watching the video you can't help but hope for Salman Khan to emerge out of no-where and join the Dhak Dhak girl to dance on this iconic performance! On the other hand, the function had other sizzling performance in the store as well. Ayushmann Khurrana, Ranveer Singh, Kriti Sanon were amongst the other performers of the night. But we bet even they must have been mesmerized by the stunner of Bollywood! 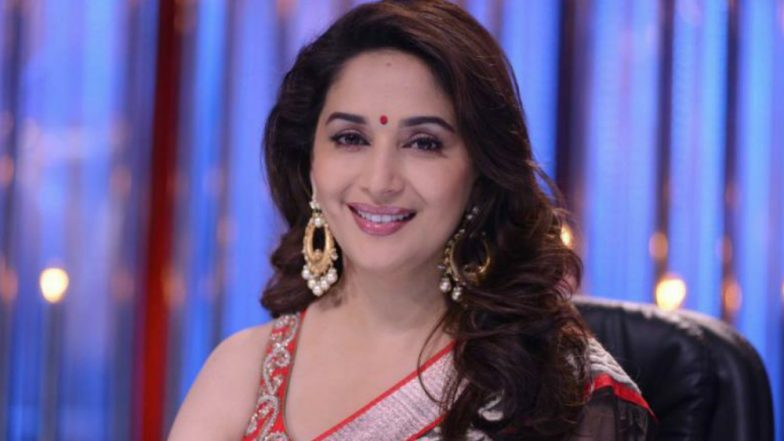 Speaking of Madhuri, she has won the hearts with her performance in the Kalank song, "Ghar More Pardesiya." Sung by Shreya Ghoshal, the track has major Devdas vibes with the gorgeous actress flaunting her kathak moves. It's astounding to watch her own the frame with such grace and ace! How does she manage to retain that energy and perfection will always be a mystery for her fans, isn't it?